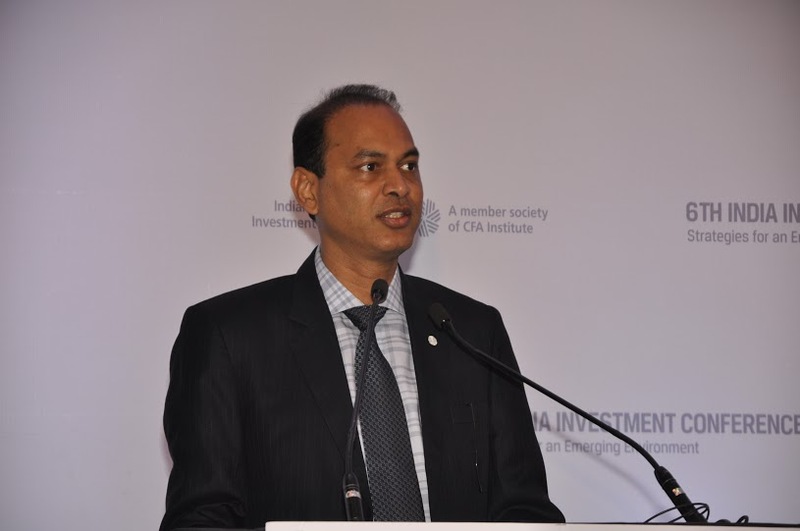 In his opening address Sunil Singhania, CFA, talked about the broad trends in the investment industry and what roles CFA Institute and investment professionals can play to win back the trust of investors. The broad trends are (1) increase in the concentration of institutional ownership, (2) increase in number of high net worth individuals in Asia Pacific, (3) rise of passive investment products, (4) emergence of financial robot advisors and (5) increase in regulatory scrutiny. CFA Institute, with its mission to lead the investment profession globally for the ultimate benefit of society, works towards (a) developing and credentialing future professionals with common body of knowledge, (b) engaging with employers to place investor interests first and (c) assisting regulators through standards and advocacy efforts. Because of the negative perception and distrust the investors are getting disengaged thereby putting their financial future in imbalance. This needs to change. The industry needs to work on raising public awareness about the beneficial role it plays for the society and build trust. This means creating business models geared towards achieving investment outcomes, and keeping fees transparent & reasonable. Over the next 10 years around 1.0billion middle class consumers are estimated to emerge globally, representing the largest single decade increase in history. To meet their investment goals they will require more trust worthy investment professionals. This entry was posted in India Investment Conference, Mumbai and tagged @CFAAsia, @CFAIndia, @CFAInstitute, @iaipcfa, Board of Governors, CFA, CFA Institute, Commissions, Economy, Ethics, Fees, IAIP, Indian Association of Investment Professionals, Investment Goals, Investment Industry, Investment Needs, Investment Professionals, Investments, Investors, Regulators, Reliance Mutual Fund, Robot, Sunil Singhania CFA. Bookmark the permalink.